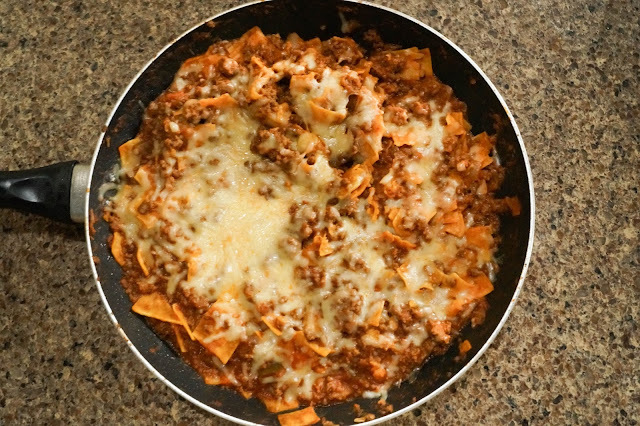 This dish is so easy and you can have it on the table in a snap. When you read the ingredients list I know you are going to ask...."I thought you didn't buy canned creamed soups?" I don't. However, in this case I do. 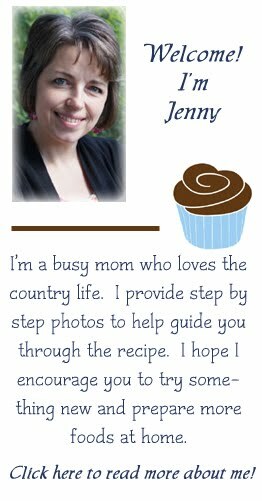 I use Amy's Organic Cream of Tomato soup. The first draw was that it doesn't contain flour for a thickener. The second, that the other ingredients besides tomato are water, cream, sugar, onions, salt and black pepper. That's all, no funky preservatives or funny names. 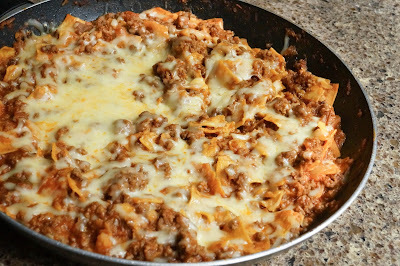 Someday I will try my home canned roasted tomato sauce to see how to re-create this dish using that. I am thinking that it will be really good! 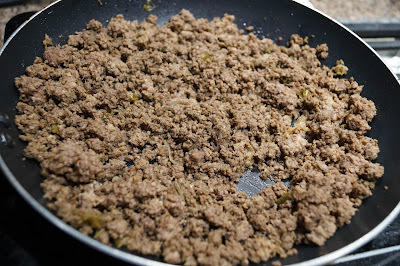 Ground pork would be a good substitution in this dish or maybe a mix and match with the ground beef. 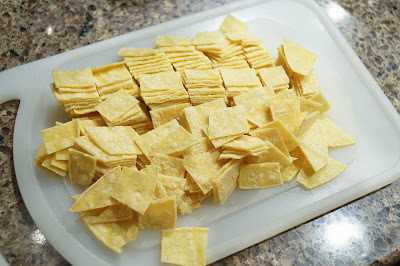 Cut tortillas into 1" pieces. Set aside. 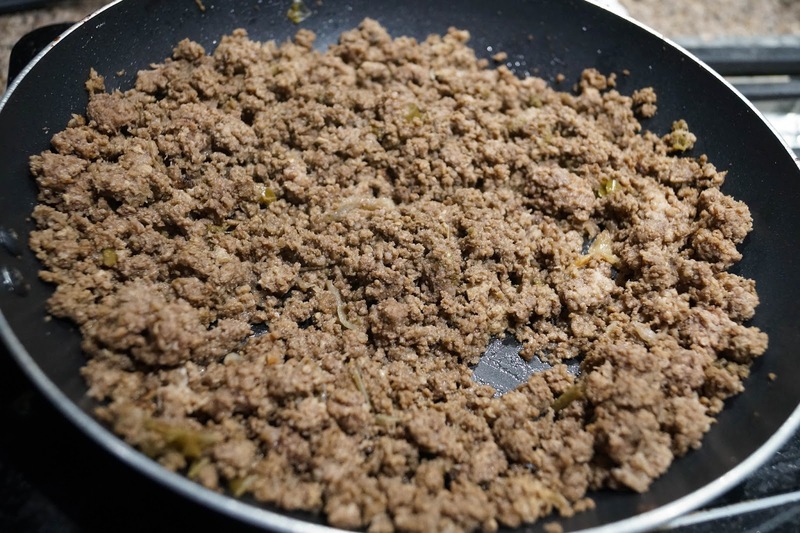 In medium skillet, cook ground beef with onions and peppers until beef is cooked through and veggies are soft. Drain off any fat. 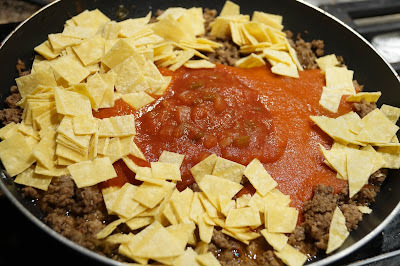 Stir in soup, water (use water to clean out soup can,) salsa, tortilla pieces and half of the cheese. Heat until the cheese is melted and the tortillas absorb some of the liquid and become soft. Remove from heat. Top with remaining cheese. If you want the cheese to melt faster you can put a lid or foil over the pan.